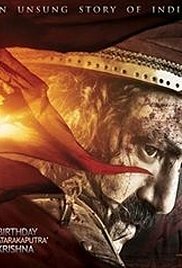 Gautamiputra Satakarni (Nandamuri Balakrishna) is 2nd century AD Satavahana ruler of Amaravati who has a dream from his childhood that to unite all the 32 kingdoms in the country under one roof, to stop internal collisions between the rulers to establish peace. He takes oath on his mother Gautami Balashri (Hema Malini) and starts his mission at the age of 18 and he gives only two to options to the kings on his way either peace by surrendering their sword to him or war. It takes 18 long years to achieve his goal and takes entire South India under his control. Time being Satakarni marries Vashishthi Devi (Shriya Saran) and they have a son Pulumavi (Master Snehit Chowdary). Read more on Wikipedia.